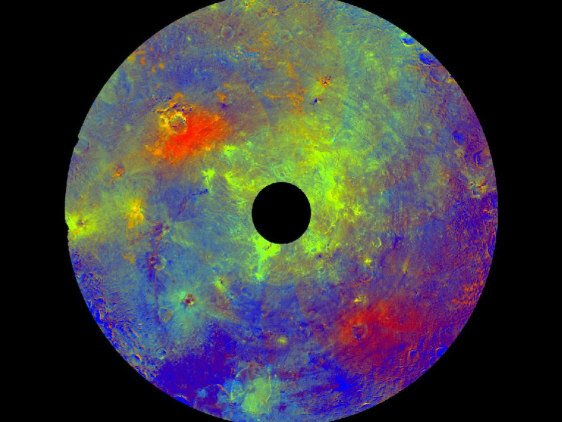 This image using color data obtained by the framing camera aboard NASA's Dawn spacecraft shows Vesta's southern hemisphere in color, centered on the Rheasilvia formation. Scientists assigned different colors for the ratios of two wavelengths of radiation detected by the framing camera to indicate areas that are relatively redder or bluer. The black hole in the middle is data that have been omitted due to the angle between the sun, Vesta and the spacecraft.